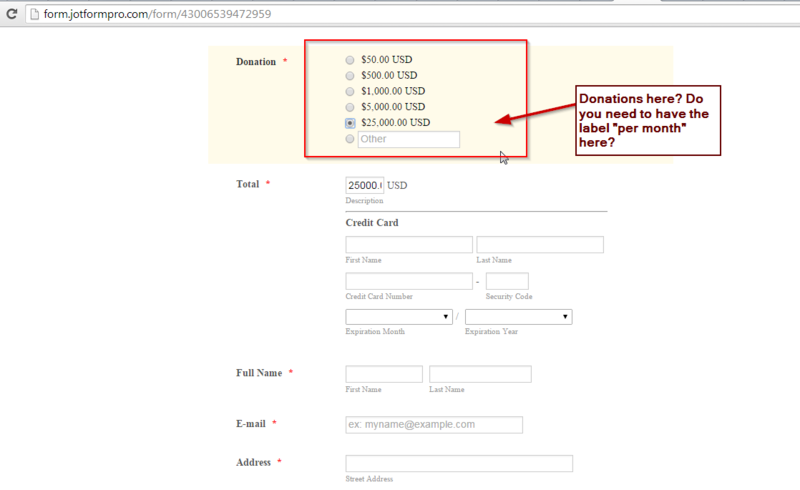 For this form http://form.jotformpro.com/form/43006539472959 we'd like there to be an option to click on an amount, and also click on a donate monthly option. Can you help me set this up? I'm not really sure if I understood you correctly. Are you referring to adding a label to the donation prices? Or are you referring to aside from having the prices in your form the user can also add a specific amount? Doesn't the "other" option textbox fulfills that function?